“Lord, take me where You want me to go. In Fr. Gregory Boyle (My Journey with St. Francis, the Jesuits & Pope Francis, Part II), I introduced you to a very special Jesuit. In Fr. 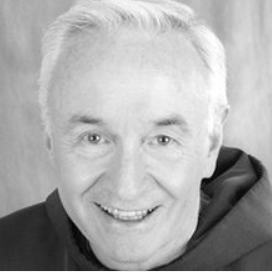 Mychal Judge, I’d like to introduce you to a very special Franciscan. Fr. 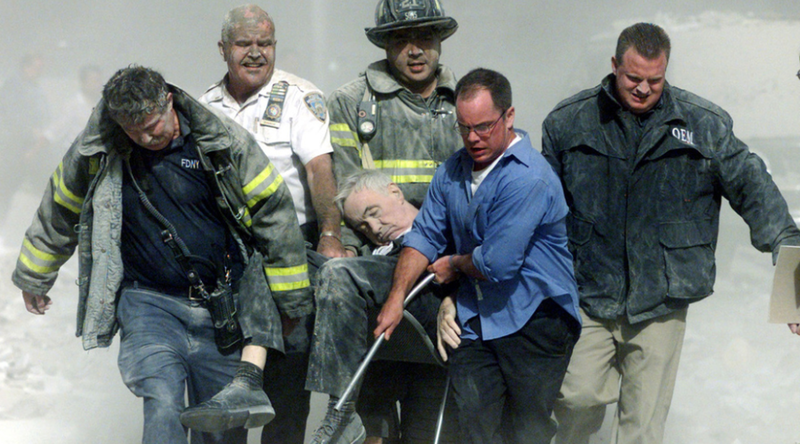 Mychal Judge – Chaplain of the New York Fire Department. A gay, Irish, recovering alcoholic Franciscan priest, friend to the homeless, policemen, firemen, addicts, politicians, AIDS patients and so many others. He was not a “conventional” priest, but rather a human being with flaws, like the rest of us. But a human being much beloved by thousands of people to whom he ministered, much admonished by those whom he antagonized. He was sensitive, humble, compassionate, extraverted, vain about his hair, a committed multi-tasker always on the go who kept a journal, still wrote letters and had a “wild” laugh. Hugging people, blessing strangers, ministering to the firemen and their families, advocating, listening, loving, serving and never judging. He resided in the friary of St. Francis of Assisi Church in Manhattan, the same saint who served as a role model for Fr. Mychal’s life. Fr. Mychal responded to any fire of three alarms or more, so it made sense that on September 11th, he was at the WTC in record time. One of the firemen who saw him in the lobby of Tower One noticed concern on Fr. Mychal’s face, his lips moving, “like he was praying.” Minutes later, after giving Last Rites to a firefighter from Company 216, Fr. Mychal was caught in the debris from the collapse of the South Tower. Fr. Mychal was given Death Certificate Number 00001, a posthumous honor as the first body released from Ground Zero. Although already gone, the priest was given Last Rites by a Lieutenant on the Manhattan Traffic Task Force and a fellow New York City police officer, since no priests were available. He wouldn’t have wanted it any other way. Sacred Ground. Light in the darkness. Fr. Mychal’s funeral, a two-day event, brought thousands of people – blue collar workers, policemen in dress uniforms , firemen in work clothes straight from Ground Zero, a former President, Senators, mayors, governors, archbishops, cardinals, priests, the homeless, AIDS activists – so many people from all walks of life. Fr. Mychal was buried on the 23rd anniversary of his sobriety. His body may have been buried, but not his spirit. Not his memory. “Life and death – so valuable. Yes, Fr. Mychal. Your wish was granted. Your last half hour was ministering to those in need. In the midst of the chaos, you presence offered comfort and peace. You did your job – you affirmed your calling – and you did it well. So I recite Fr. Mychal’s prayer which so resonates within me. And I hope – indeed, I pray – that my last 30 minutes of life will be even half as good as this very human, yet very holy, Franciscan. This entry was posted in Monday Meeting, Special People I'd Like You to Meet and tagged 9/11, Franciscan, inspirational, musings, Mychal Judge, prayer. Bookmark the permalink. What a beautiful soul, Theresa–thank you for sharing Fr. Mychal’s story. Clearly a special, special man….